Being the mayor of Ponyville is not easy, not when you have the Elements of Harmony and the Cuite Mark Crusaders always causing trouble. Mayor Mare has a solution however, a Bachelor auction and Big Mac is the star of her little show. You Got Ma Sister What?! 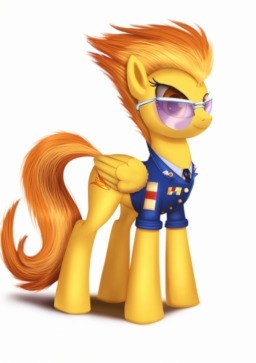 Soarin is a dead stallion! 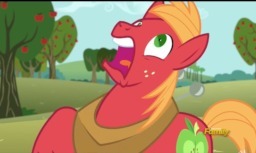 When Big Mac finds out that his sister is pregnant there is no force in all of Equestria that can keep the farmer from killing the Wonderbolt. Or is there? 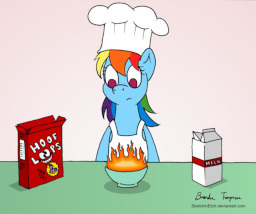 There are not many things that Rainbow Dash can't withstand. She can take on danger all day long, but when it comes to the bitter cold she is beat. 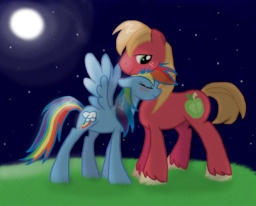 In search of shelter from the cold, she ends up spending the night at the Apples, alone with Big Mac. 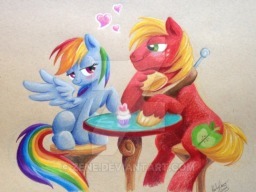 The engagement of Big Mac and Rainbow Dash is the talk of Ponyville! 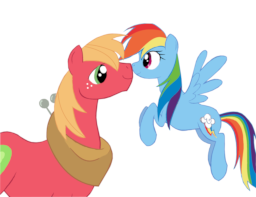 Everypony wants to know how the proposal happened, when the date is, and how Rainbow Dash reacted! There is only one problem, Big Mac never proposed. 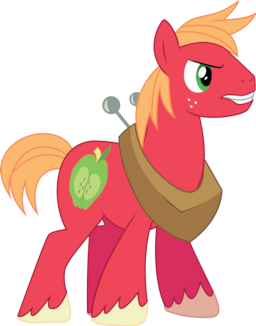 Big Mac has always been seen as the one stallion in Ponyville that always seemed ready to be a father. He had raised A.J. 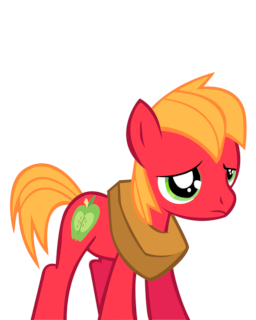 and Bloom almost by himself, and always has time for the CMC. But is the large stallion ready to be a father? Soarin is considered by many to be a Play Colt, a stallion able to get any mare he so desired, then why is it he is all alone on Hearts and Hooves Day? Could the legendary PlayColt actually have no idea how to talk to mares? 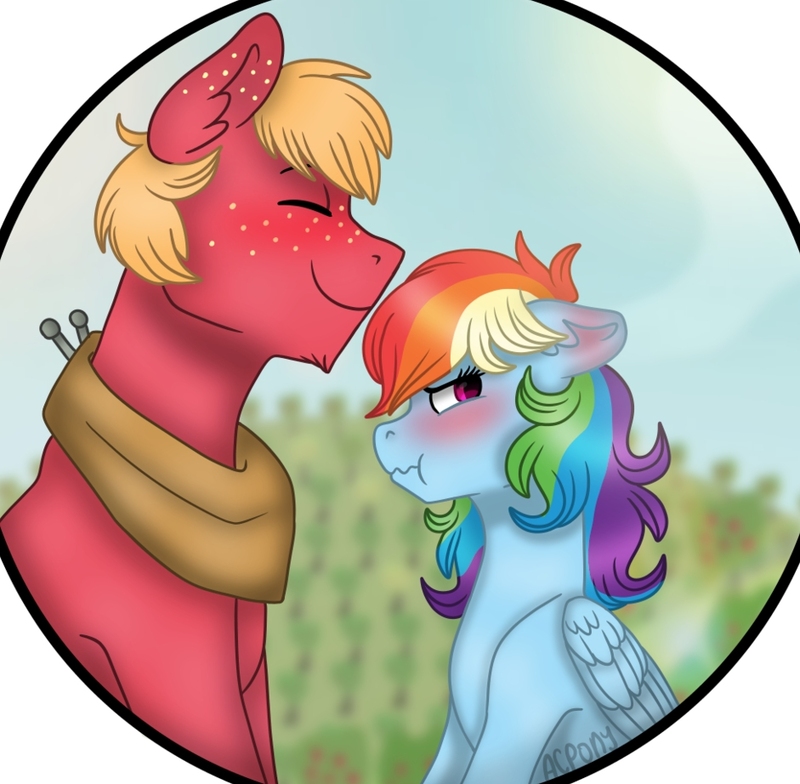 The wedding of Big Mac and Rainbow Dash done in a fun collaboration done by many different writers. How will the wedding between the two of these ponies go? A simple wedding filled with love and happiness or will there be chaos? Little Mac has always had a hard time in school. While reading and writing just seemed to come easy to the other ponies in his class, he just didn't get it. This was until he was told that these problems were because he was a genius. 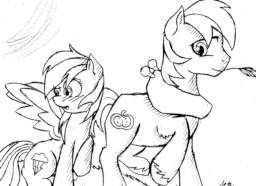 Applejack has always viewed herself as a simple farmer, nopony to make a fuss over. However, two of the most famous and wealthiest stallions think otherwise, and are willing to spend every bit they have on her.